We ship books and goods from Japan to Asia region. We send a parcel via EMS (Express Mail Service). We accept the credit card payment（クレジットカード） only. The shipping costs to the customer vary depending on the quantity or the size of parcels. You can caluculate rough shipping costs from here. We cannot deliver depending on countries or areas because of the limitation of EMS. You may be charged customs duties depending on countries or areas. We may not accept the order which contains a fragile item. We can not ship after designating delivery date. 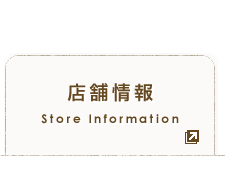 Place an available item in your shopping cart (お買物かごに入れる) and proceed to checkout. You have to enfer required information. Choose "海外" from a pull-down menu in a box of 都道府県(Prefecture). Please enter "0000000" in a box of 郵便番号(Postal Code)". Enter your address in a box of "住所" including the postal code. After the order is successfully processed, you will receive the confirmation via e-mail that we've received your order. We notice the shipping costs before shipping. Copyright © Keibunsha Co., Ltd. All rights Reserved.